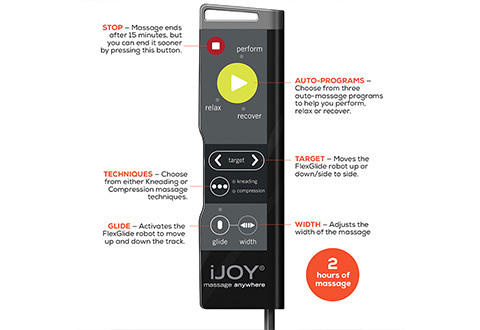 The Human Touch iJoy Portable Massager is a powerful, portable solution for the perfect massage anytime and anywhere you need to recharge and soothe tired muscles. 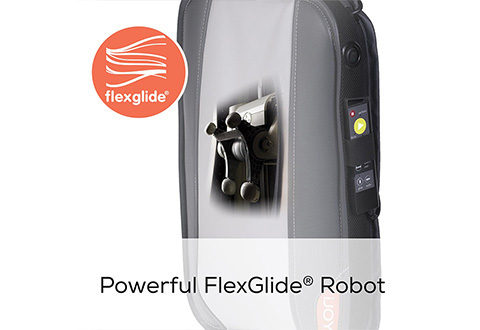 It features FlexGlide™ orbital massage technology that replicates techniques used by massage professionals to relax and recharge your body. Enjoy up to 2 hours of invigorating auto-massages including kneading, compression and glide. 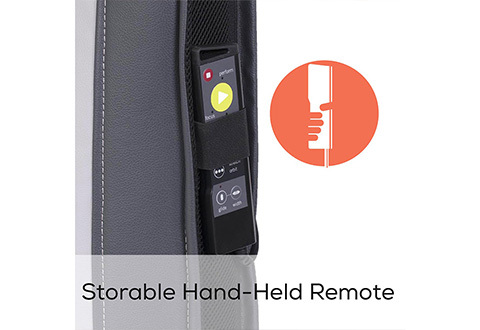 Use the built-in remote to target and adjust the massage position plus focus or diffuse pressure. 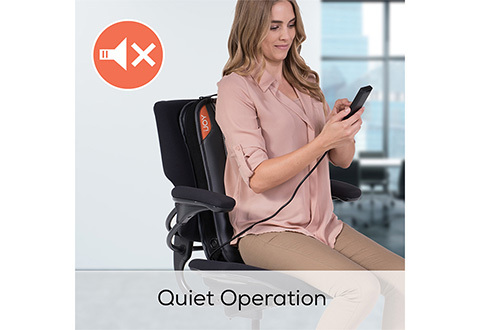 Great for use at home, in the office or on the go. 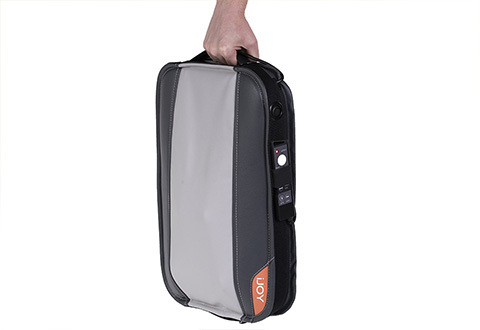 Features an easy to carry handle and adjustable shoulder strap for maximum portability. 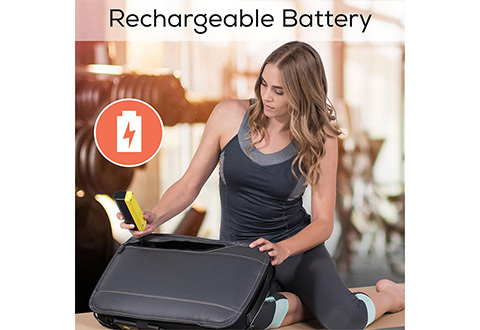 Item Will Ship in Approximately 2 Weeks	This Item Ships Free with promo code MCHAIRFS. 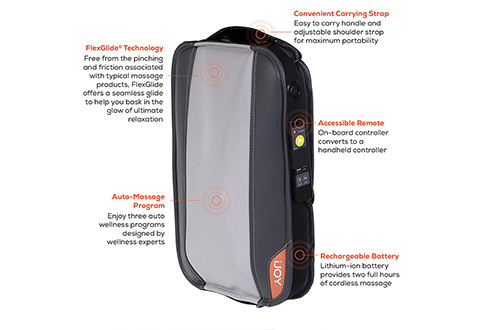 Save room and take the Human Touch iJoy Portable Massager with you wherever you go! 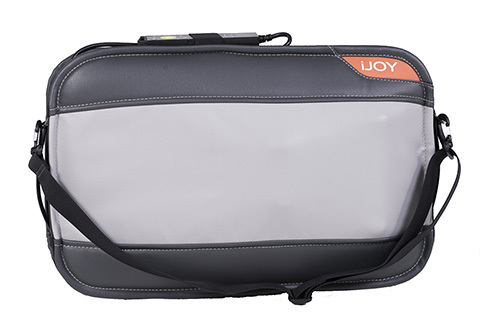 It delivers the same great professional-style massage just like Human Touch iJoy full-sized chair massagers! -Kneading: Improves blood and lymph circulation and helps bring vital nutrients to the spinal area, also helps clear out the toxins from muscle and nerve tissue in the area. -Compression: Relieves tension and soreness by lifting and stretching muscles. Improves circulation and helps bring vital nutrients to the spinal area. 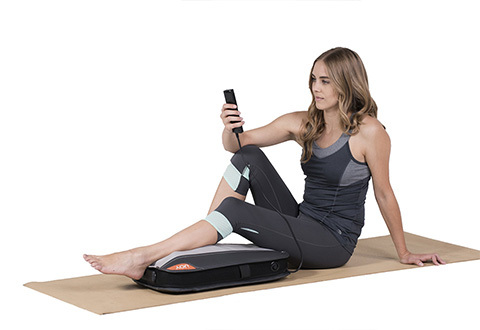 -Glide: Warms and loosens your muscles. 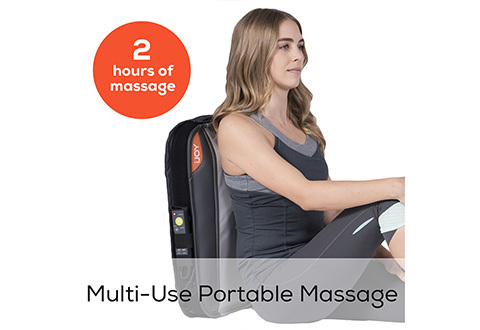 Relieves muscle tension, improves circulation and relaxes the back. • Upright chair dimensions: 22” L x 15” W x 4” H. 11 lbs. PLEASE NOTE: This is a personal care item and is returnable if in its original unopened packaging and unused condition. Not for use by those with a pacemaker. Please click here for the product manual.